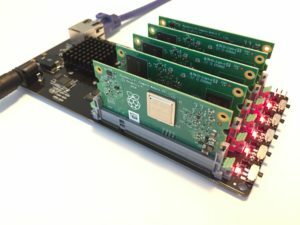 Newly released for ArmTechCon 2018, the miniNodes Raspberry Pi 3 Computer on Module (CoM) 5-node Carrier Board enables extreme edge computing and IoT workload processing in a small, easy to use platform. Final engineering is wrapping up, so we are opening up Preorders, with expected delivery in February / March 2019. Place your order now for early delivery in the first batch produced! Also newly released, are the miniNodes Arm VPS servers, which are Arm virtual private servers with predefined CPU, RAM, storage, and bandwidth configurations, and a fixed monthly price. 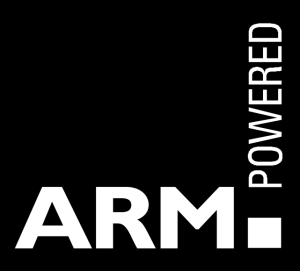 Each Arm virtual machine offers a static IP Address and SSH access, and is provisioned within minutes. Five sizes are available, to meet your capacity and scalability needs. miniNodes are tiny dedicated servers that run Linux on Arm processors. miniNodes can perform the same basic functions as a regular server, but at a fraction of the cost and power. Available with either 32 or 64-bit Arm processors like those typically found in smartphones and tablets, miniNodes can host cloud services and applications, serve websites, run Internet of Things applications, provide failover capacity, and more. For modest compute needs, miniNodes are a great low cost dedicated server option. Give miniNodes a try, you’ll be amazed by what they can do. Dedicated Linux servers, in a small size & low price point. Starting at only $8/month, with a wide range of products and OS’s available. The same ARM processor cores that phones and tablets use. Built for efficiency and battery life, they are low wattage and conserve power. Fedora, Ubuntu, and Debian Linux distros. Existing apps and code will work out-of-the-box, so you’re up and running quickly.